Lara Croft rises from the ashes - but can this phoenix fly? Reboots are a risky old business. 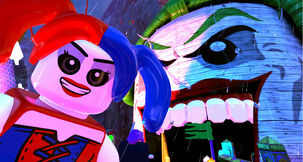 Any media franchise can begin to grow old and tired, gimmicks and ideas that previously enthralled audiences leaving people cold - and videogames are no exception. 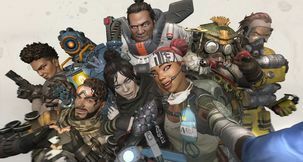 There’s something else present in gaming, though - thanks to the relative youth of the medium and its ever-changing technology, some names are valuable simply because of what they’re associated with. Lara Croft, for instance, is probably more famous than the quality of the games she starred in ever deserved. She was the face of 3D action games for adults for a good long time, and of course spawned a massively successful movie. She’s valuable, but is also a caricature - and that’s why Square Enix decided to give her a new look and a fresh start for the modern age. 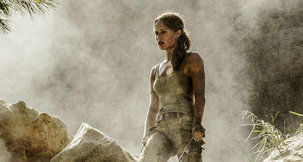 The team at Crystal Dynamics aren’t Lara’s original creators, but have been in charge of the franchise for some years now. Their previous efforts were solid, but this takes ideas from those games and splices it with ideas and elements from more modern titles - the most obvious influence being Naughty Dog’s Uncharted. 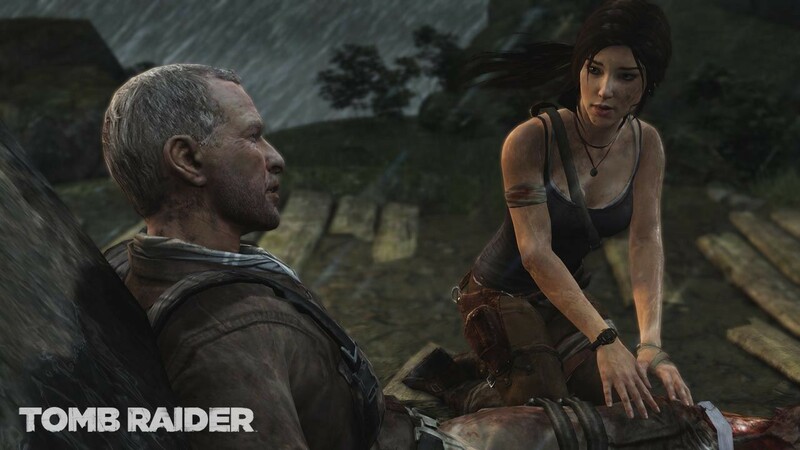 While the game has lifted some of its gameplay trappings from Uncharted, one thing not pulled from Nathan Drake’s adventures is Lara herself. The old Lara was a lot like Drake - wisecracking, overconfident, cocky - this Lara is not. She’s young and inexperienced, someone who is struggling somewhat with the fame her surname grants - she’s the daughter of a famous archaeologist. 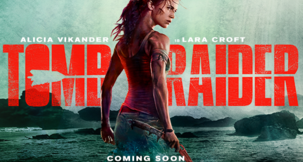 Shipwrecked on a hostile, unfamiliar island, Lara is thrown into adventure rather than actively seeking it. The events transpiring around her are terrible and harrowing, the island turning into a den of torture and misery. Lara isn’t completely alone, and is surrounded by a group of fellow survivors - many of whom slot into handy stereotypes, right down to their accent and clothing. It’s easy to tell what sort of role each will fill in the group at a glance, and in a story so laser-focused on Lara that makes sense. The focus on young Lara is the greatest asset that Tomb Raider’s story has, but it’s also where it stumbles. The crossroads where gameplay and narrative meet become a problem here - and it becomes clear why Nathan Drake, for instance, isn’t a more complex character than he is. The quick time event-laden opening hours of the game aren’t all that exciting in a gameplay mechanics sense, but serve to lay down a thick, believable backbone for the character of Lara in this game. Terrible pre-release quotes about ‘protection’ aside, the game does a great job of driving home to you that Lara is no hero, and isn’t equipped emotionally or physically for what the world is throwing at her - but at a point, the actual game has to begin. 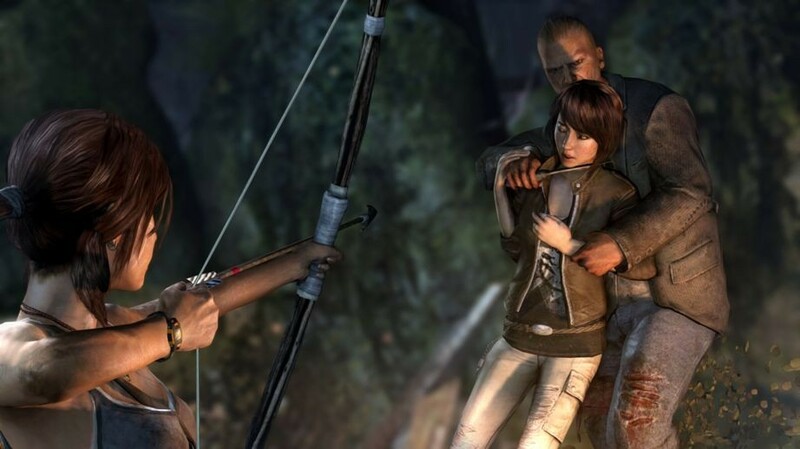 When it does, Lara goes from a nervy, struggling character to a killing machine that has absolutely no problem taking an arrow from her quiver and jamming it through the throat of one of the island’s less friendly inhabitants. 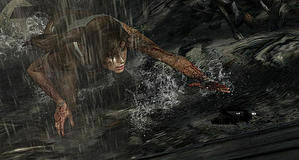 Tomb Raider has some brutal, awesome-looking takedown kills - but they don’t feel in character for this new Lara at all. 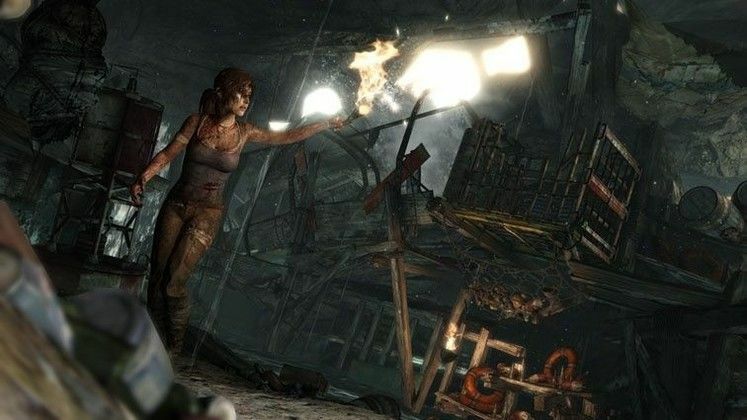 By the time Lara is picking up shotguns, assault rifles and grenade launchers in addition to her bow and arrow or once she’s started making death-defying leaps of faith without concern, much of the ‘vulnerable Lara’ storyline has jumped to the back of my mind. Later in the game Lara hardens, the characterisation catching up, breathless, to what you’ve already been doing for hours. The gameplay that these mechanics serve is good, though - and that is what really matters. To be clear, despite the obvious comparison Tomb Raider actually offers a decent amount more, and different, to an Uncharted title. There’s a hint of open-world design here - though the game is mostly linear - and a slew of optional tasks to complete by revisiting old areas. There’s a hint of Metroid here in how items gained later in the game can open up new parts of older areas. Batman: Arkham Asylum is an even better comparison - like that game, Tomb Raider’s critical path is entirely linear and easy to follow, but wider exploration is possible should you wish. If you do, there’s an absolute ton of collectables and interactive things you’ll have missed on the story path. In addition to collectables out in the world of the island there’s a welcome sprinkling of optional Tombs - which you can raid, obviously. Duh. Despite being titular these puzzle-based areas are entirely optional, and sort of a throwback to the crazy ancient puzzle sequences from previous games. Despite being a side task, they were one of my favourite parts of the game. There’s an experience-driven progression system, upgrades gained by battling, hunting animals and other tasks. There’s some really nice menu-work here - and throughout the game in general - and there’s a degree of freedom to how you want to spec Lara. I gravitated towards using my bow and stealth as much as possible, but for those who wish to go in louder there are pathways with gun upgrades or upgrades to close-up techniques. 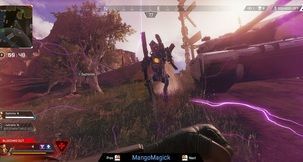 The game’s combat is at its absolute best when it gives you a wider, less-linear combat arena to sandbox an approach against enemies within. This doesn’t happen as much as I’d like, but even when more linear and simplistic in approach the combat is satisfying, fun and challenging. It presses all the right buttons in all the right ways, and the game doesn’t feel over-long despite being pretty damn lengthy. 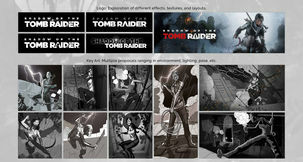 It’s a hell of an achievement, especially considering it breaks from the established Tomb Raider formula so completely. When the lengthy story is despatched with players still hungry for more can go in on Tomb Raider’s competent, decently-sized multiplayer mode. It plays like any other third person shooter, really, thought the closest comparison here is without a doubt Uncharted. They may differ in approach in single-player in places, but in multiplayer they’re damn-near identical. 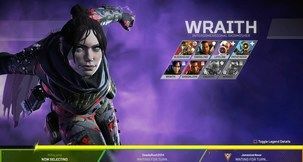 This comes with all the modern-day trappings you’d expect, including persistent character progression and growth attached to your multiplayer efforts. It’s capable and decent, but failed to grab me in any real way - the single player is why I came to this game. Flawed as its presentation of the young Lara story may be, Tomb Raider is a great game first and an interesting story second. The latter certainly stumbles frequently throughout, but I was never put-off enough to actually stop playing - chiefly because the gameplay I was indulging in was so persuasively fun. That’s what matters in the end.